Change up your usual steak routine with Harissa Beef Roulade. Certified Angus Beef® brand ribeye cap is stuffed with zesty harissa, sweet roasted garlic and fresh parsley then rolled, tied and grilled to perfection. It’s an easy to make Sunday supper recipe that’s ready in about 20 minutes! And, learn all about how Certified Angus Beef® brand gets from the ranch to your dinner table! Harissa Beef Roulade is easy to prepare and you’ll love how pretty it is when sliced! With just a few ingredients, including quality Certified Angus Beef® brand, you’ll have this main dish on your table in no time! (It does need time to let the flavors meld, so make sure you work that in.) This tasty bite is made with a lesser known, but very tender and tasty cut of beef called ribeye cap (also known as deckle, calotte, or spinalis dorsi). Be sure to ask your butcher about it! 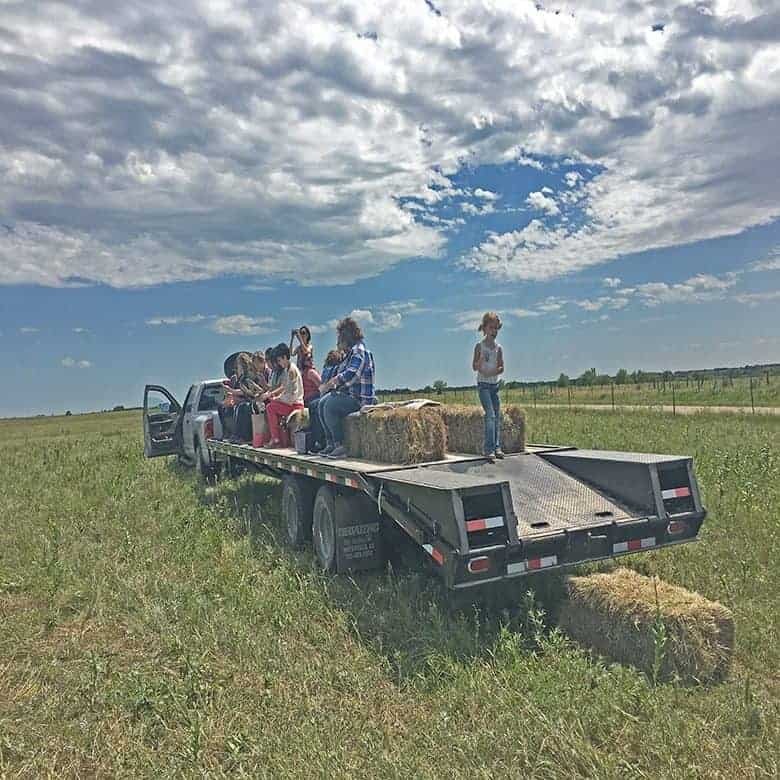 Read about my fantastic ranch tour experience below and then go to the end of the post to get the recipe for Harissa Beef Roulade! A couple of weeks ago, the exceptional people of Certified Angus Beef® brand gave me and several other influencers the opportunity to go on an amazing adventure! We traveled to Kansas and spent the day on the Blythe cattle ranch. All I could think about the whole time I was on this trip was how lucky I was to have this rare opportunity. 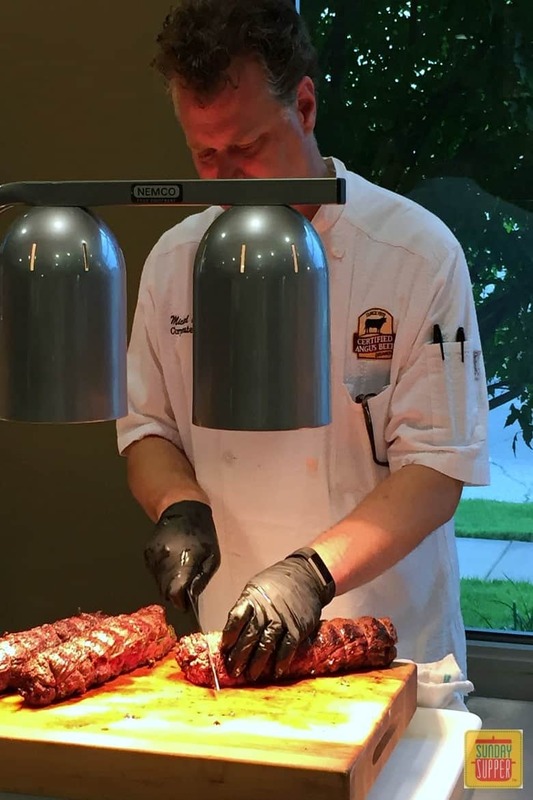 A few years ago, I had the chance to visit Certified Angus Beef® brand Culinary Center located in Wooster, Ohio. I learned all about “Roasting Season” and how to make holiday roasts and appetizers, such as this recipe for Holiday Strip Roast and Holiday Steak Bruschetta. My recent trip to Kansas showcased how Certified Angus Beef® brand is brought from gate to plate. 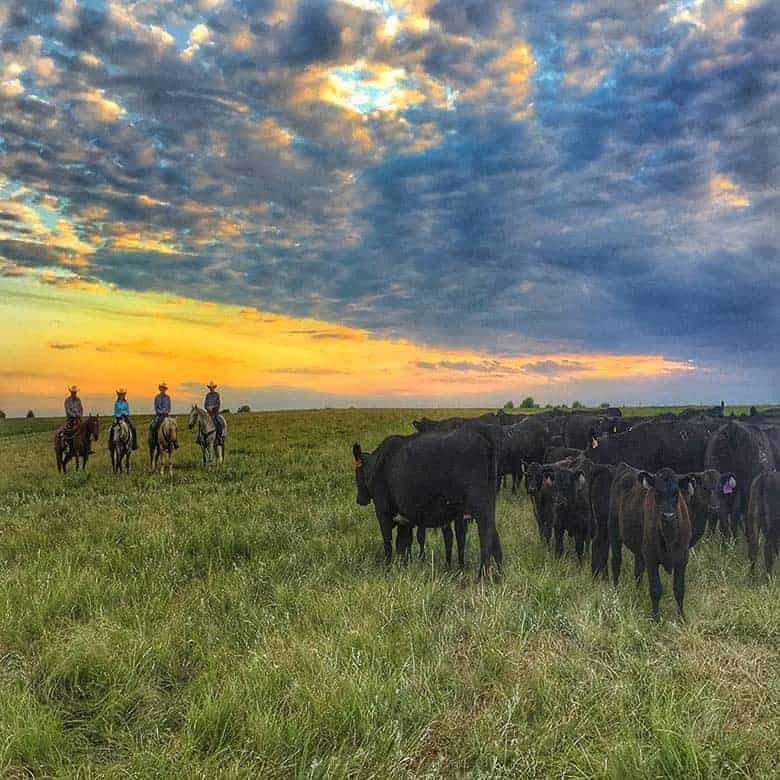 Certified Angus Beef® brand does a great job educating influencers, retailers, and consumers on quality beef and what it takes for Angus beef to be deemed “certified”. 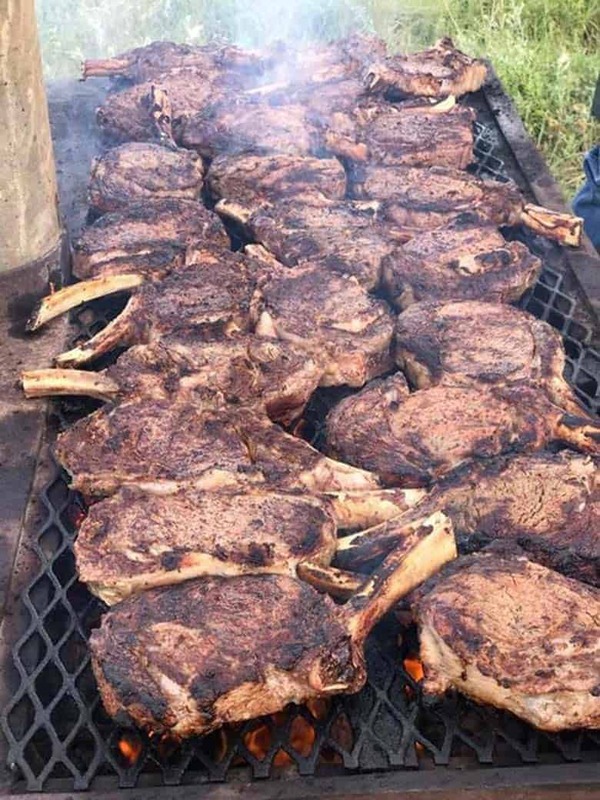 They rely on 10 standards that judge the taste and quality of their beef which ensures their beef is amazingly tender, juicy and full of flavor each and every time. Did you know that only 3 out of 10 Angus cattle will quality as “certified”? We started the day off by meeting Debbie Lyons-Blythe, a blogger and rancher who raises cattle along with her family. 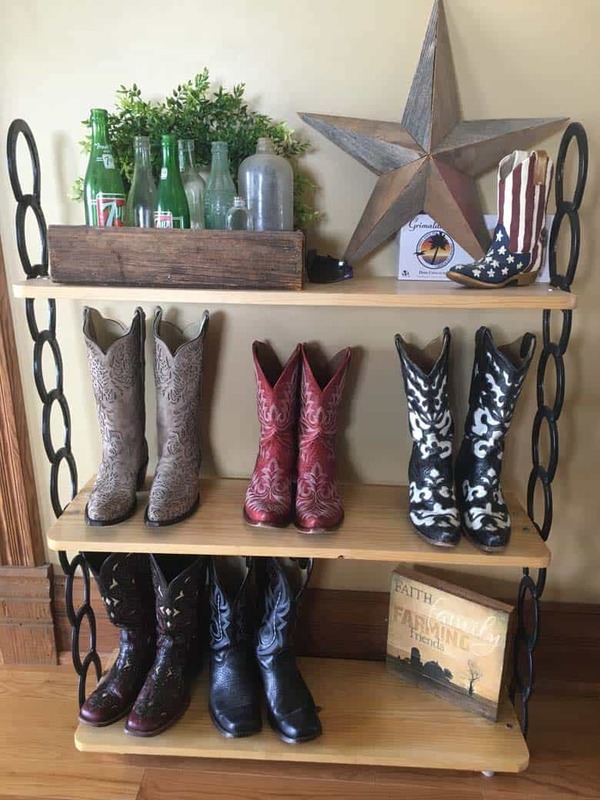 Her ranch has been in the same family since the late 1800’s! Debbie has the biggest heart and a powerful message to share. 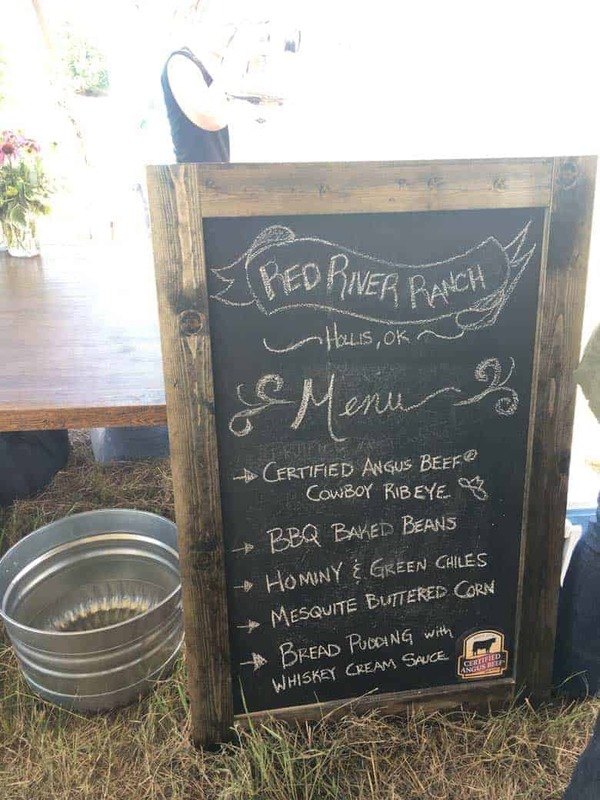 You can’t help but love a family-run ranch making it possible for all of us to put fresh food on the table. She was sweet enough to have our entire (large) group to her home. We were served an amazing lunch out on her deck made by Chef Michael and Chef Gavin from Certified Angus Beef® brand. 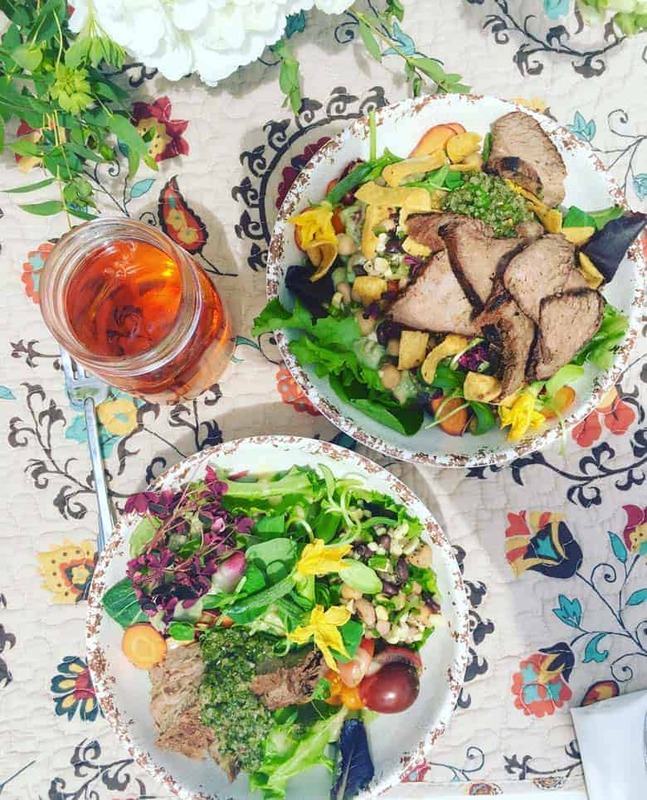 Harissa Beef Roulade wasn’t on the menu for this meal, but we did enjoy a tri-tip steak salad with endless, colorful topping possibilities and sweet tea. I still dream about that salad to this day and the views from Debbie’s home were unparalleled! We then headed out for a tour of the Tiffany Cattle Company where we learned all about how the cattle are cared for and fed. We got to hear about the full range of a rancher’s daily work and how they perform any number of activities required on a working ranch. 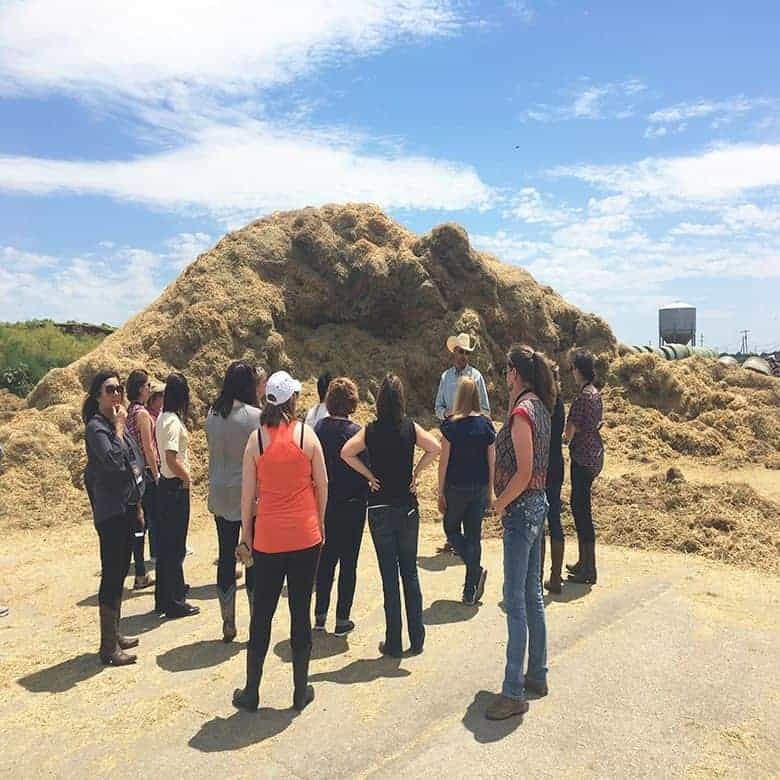 I loved learning of all the thought and effort that goes into the feedlot and the cattle’s diet. I was very impressed with the care that goes into this process, right down to scrubbing their built-in water vats weekly. Their diet is very precise! Learning about the cattle industry and the lifestyle of the western cowboy in Kansas was so interesting and fascinating. 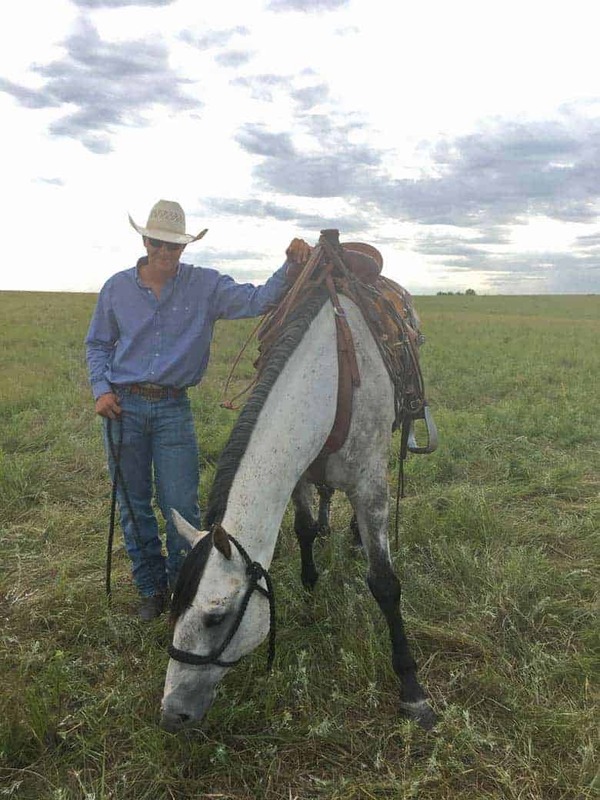 I walked away with a new respect for the process of raising healthy, happy cattle. 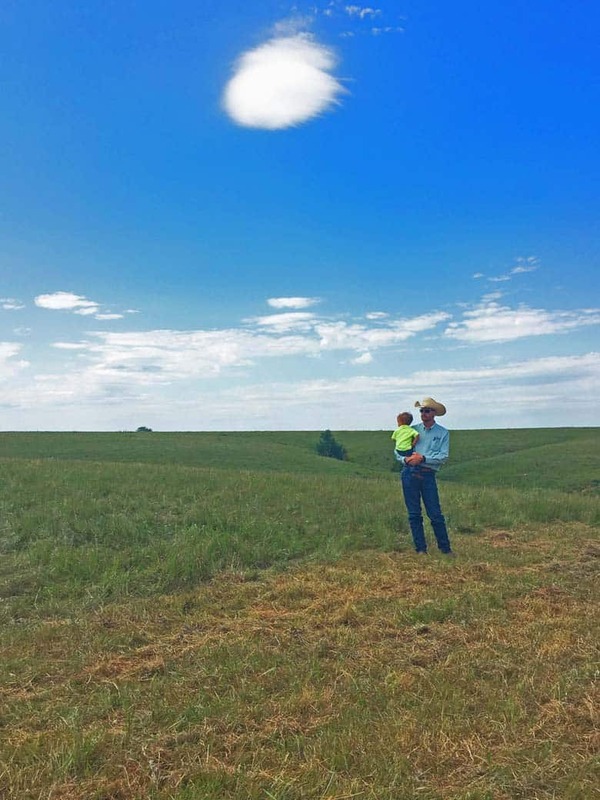 The family ranchers’ dedication to caring for their cattle and their land was mind-blowing. They said several times how they look at it a “gift from God” which explains their dedication and hard work. Their compassion and love of their way of life shined through every single person that we met. I was surprised to learn how difficult it is for a family or individual to start farming, since typically farms are passed down through the generations. New farmers like the Tiffany family have to be lucky and fortunate enough to find the land and make a deal they can afford. Next on the agenda was a fun tractor ride to the prairie where we would see the cattle and cowboys up close! As we rode through the beautiful Kansas Flint Hills, we were greeted by a herd of Debbie’s cattle. We continued up the hills to a tented area where we’d spend the next few hours in the prairie having dinner cooked on a real Chuck Wagon and enjoying the beautiful scenery. We even got to try our hands at making the best sourdough biscuits I’ve ever had, and watched as the biscuits were baked over an open fire in cast iron! What a treat it was to enjoy them with jam and honey. We took some time in the afternoon to walk among the wildflowers while identifying them. We learned all about each flower and their unique role in the ecosystem. 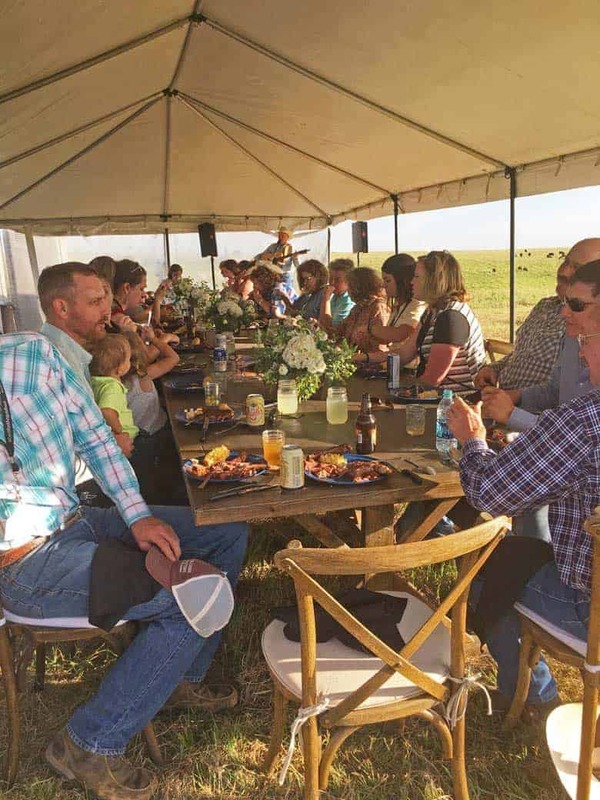 My favorite part of the day was the “old west” chuck wagon dinner on the prairie complete with all the cowboy fixins’ made for us by Cowboy Kent Rollins and his wife Shannon. I really felt like we had stepped back in time during this real western dining experience. 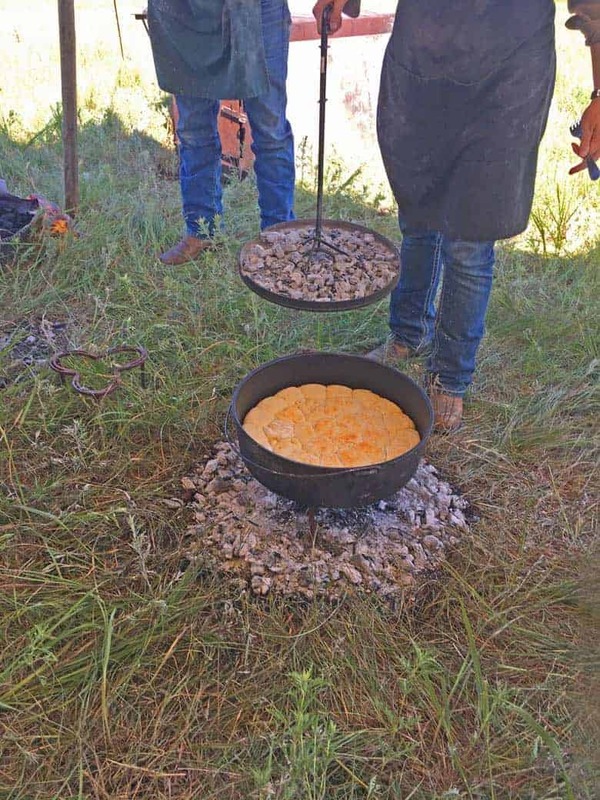 It was open prairie cooking at it’s finest! 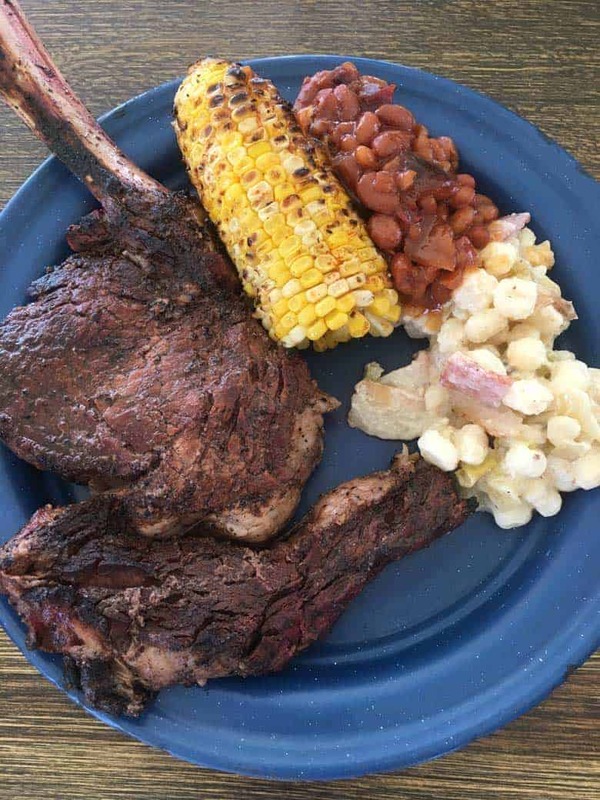 We had a hearty meal complete with a mouth-watering bone-in cowboy ribeye steak (everything is bigger in Kansas), BBQ beans, green chile hominy, and whiskey cream sauce-glazed bread pudding for dessert. We even had live cowboy music to enjoy while we ate our chuck wagon dinner. Cowboy Kent even gave us all a signed copy of his cookbook at the end of the day. I can’t wait to cook something up from it! The day on the ranch ended with the most breath-taking sight I think I have ever seen: three cowboys and one cowgirl off in the distance on their horses driving the cattle up and over the hill toward us. The beautiful sunset made for the perfect backdrop to this beautiful scene. I think I took 100 pictures because I couldn’t get enough of it! That’s a view I could look at everyday! I left Kansas with memories to last me a lifetime. 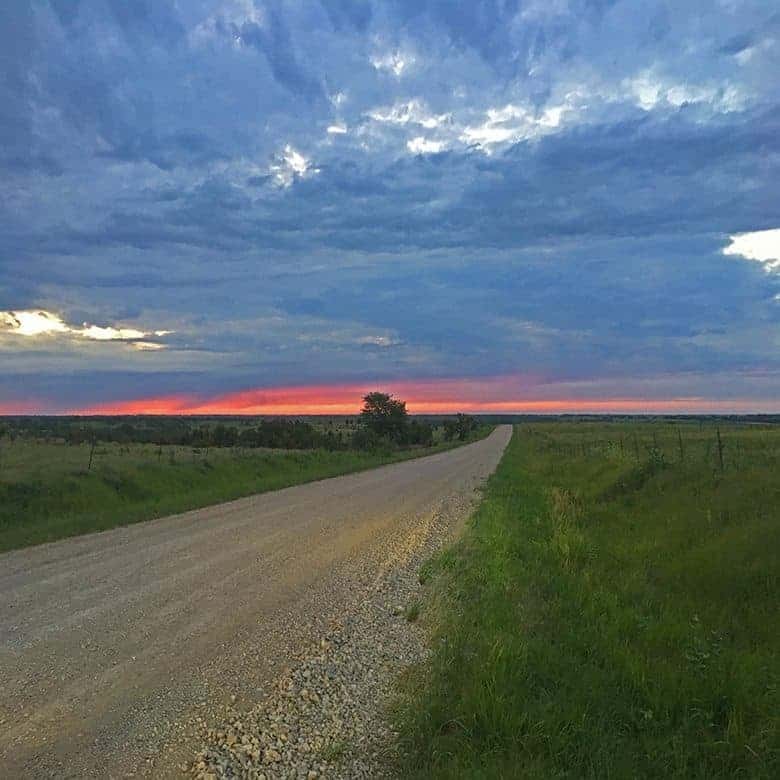 Kansas is a stunning place, the hospitality is second to none, and it truly stole my heart. 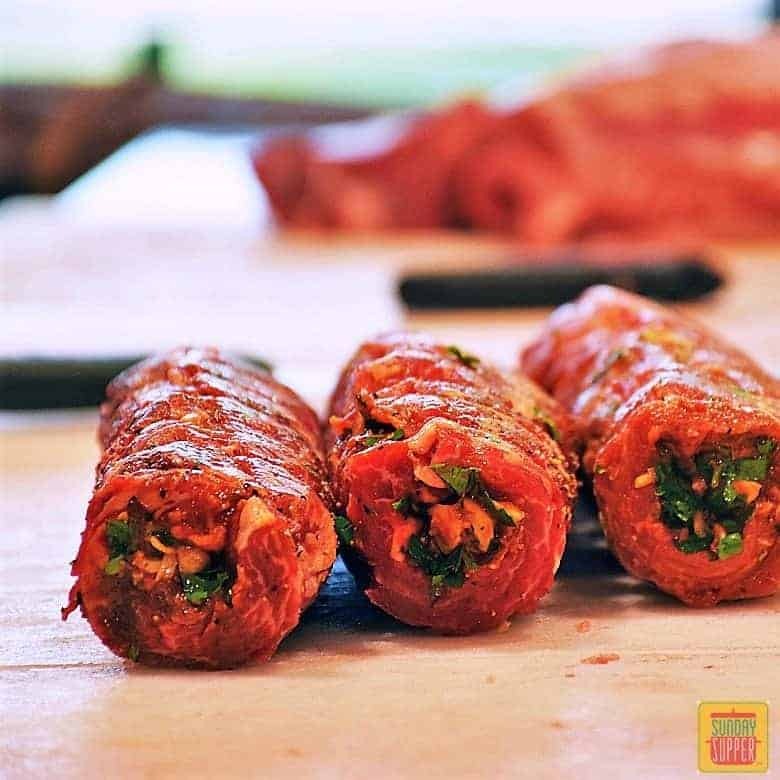 To show my enthusiasm of that trip and the ranch tour, I am sharing Chef Gavin Pinto’s Harissa Beef Roulade recipe with you today so you can all have a taste of the delicious food I enjoyed during my time with Certified Angus Beef® brand. I hope you give it a try and enjoy it as much as I did! Many thanks to Certified Angus Beef® brand for making this trip possible and to Chef Gavin Pinto for sharing his delicious recipe for Harissa Beef Roulade! Change up your usual steak routine with Harissa Beef Roulade. Certified Angus Beef® brand ribeye cap stuffed with zesty harissa, sweet roasted garlic and fresh parsley then rolled, tied and grilled to perfection. It's an easy to make Sunday supper recipe that's ready in about 20 minutes! Lay ribeye cap on a cutting board with grain running horizontally. Season with salt and pepper; flip to other side. Spread evenly with harissa, then garlic and parsley, leaving about an inch along the top of the meat uncoated. Roll ribeye cap tightly in a pinwheel style. Grain should run with the length of the roulade. Tie with butcher’s twine, about every two inches. Wrap tightly with plastic wrap and refrigerate at least four hours, overnight preferred. Preheat half of grill to medium high. Sear rib cap roulade over direct heat, rolling to develop uniform sear marks, 5-10 minutes. Move to indirect heat to finish cooking to an internal temperature of 130˚F. Remove from heat and allow to rest for 10 minutes, remove butcher’s twine and slice in half-inch slices. Ribeye Cap is also known as deckle, spinalis dorsi, or calotte. Ask your butcher about it. Ashley is an influencer for Certified Angus Beef® brand through the Sunday Supper Movement. All opinions are 100% hers. These beautiful photos showcase highlights of a fabulous few days learning about the best beef in the world!! What wonderful recap of this amazing trip! 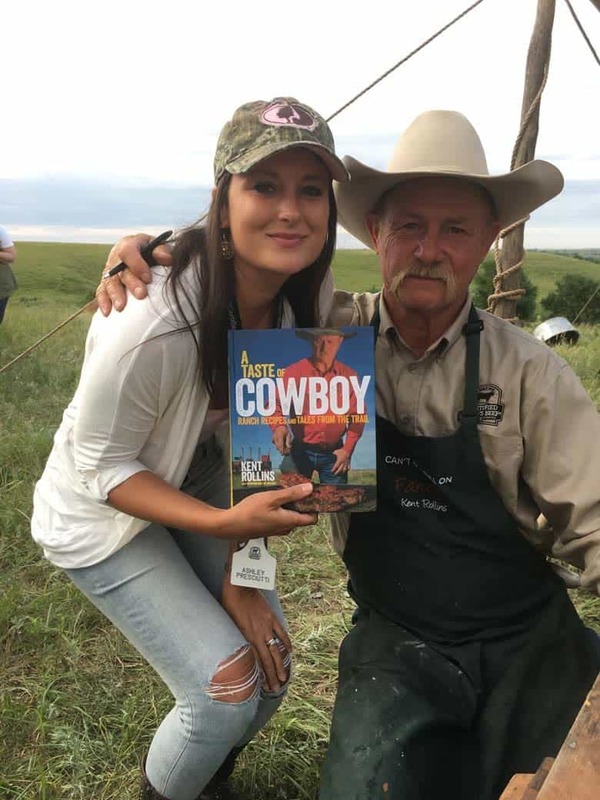 Ashley you did a wonderful job capturing the spirit of the ranchers behind the best beef journey from gate to plate! Thank you for sharing Chef Gavin’s recipe! Nice job and fantastic photography. Thanks for sharing.